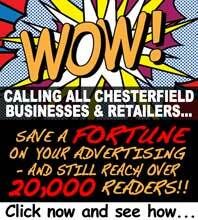 The way that Chesterfield Borough Council is run could be about to change. The Council is currently undergoing a review of it's decision-making structure which has to be finalised by 15th December 2010 and the chosen option will be in place by 2011. Law states that the Council must review it's existing decision making structure and adopt one of two types of working arrangements - a new style leader and Cabinet, or a directly elected Mayor and Cabinet. The new style Leader and Cabinet is similar to the Council's current arrangements where all the councillors appoint the Leader. Once the Leader is appointed he or she will select Cabinet Members and allocate their decision - making powers. In the option for Executive Mayor and Cabinet, the Mayor would be elected by the residents of the Borough in a separate election and then he or she would select the Cabinet Members and allocate their decision making powers. If this model were adopted there would need to be changes to the role of the current office of Mayor. They are now holding a public consultation on these options and are asking residents for their opinions. If you would like to make any comments on either of these options then you can post them on the website, or send them in writing to Sandra Essex, Democratic Services Manager, Chesterfield Borough Council, Town Hall Rose Hill, Chesterfield, S40 1LP. These need to be made by 22nd November 2010. More information about the implications of these two options is available on the Council's website (www.chesterfield.gov.uk), or by contacting the Council Offices.